Fr Heikki Huttunen from the Orthodox Church of Finland is the CEC General Secretary. 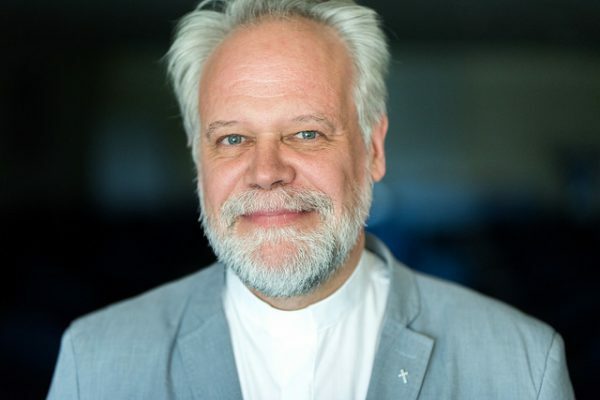 Fr Huttunen comes to the role with a wealth of ecumenical experience and a lifelong commitment to youth in the Church, at one time serving Syndesmos, the international youth organisation of the Orthodox Church. He served the Finnish Ecumenical Council as General Secretary from 2006 to 2015. Earlier contributions to ecumenism included time with the World Council of Churches as director of the youth sub-unit from 1985 to 1989. Following his work with the WCC, he served as a parish priest in a new, multicultural community in Espoo near Helsinki. He was a member of the WCC Central Committee 2006-2013 and has represented his church at the last four WCC General Assemblies. Fr Huttunen holds a master of theology from the University of Helsinki, and has also studied Orthodox canon law, Finnish church legislation, and systematic theology. He is married with two children and speaks a number of European languages including Finnish, English, Swedish, French, and Russian.